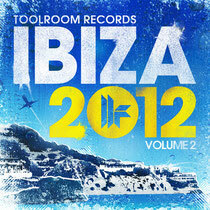 As the closing parties of Ibiza 2012 soon start to sound out their final beat, Toolroom records presents an accompaniment to the magic of the White Isle with ‘Toolroom Records Ibiza 2012 Volume 2’. Sounding off the season with style, this package features over 40 cuts across three full-length mixes, including upfront and exclusive tracks from Mark Knight, Deadmau5, Fedde Le Grand, Mihalis Safras, Wehbba, Joris Voorn, Luigi Rocca, Rene Amesz, Stefano Noferini, UMEK, John Dahlback, Oliver Lang, Thomas Gold, Kim Fai, Jay Lumen and many more. The Poolside Mix consists of true house grooves, garage and nu disco beats as they filter through the Ibiza air courtesy of Disclosure, Supernova, George Fitzgerald and Dusky, right through to an exclusive and alternative Mark Knight outing alongside Martijn ten Velden. The anthems of the summer are on the Club Mix as big room progressive sounds pound out from Deadmau5, Fedde Le Grand, Nicky Romero, Michael Woods, Calvin Harris, Alter Ego, Full Intention, and John Dahlbäck. Finally, the journey ends with the Afterclub Mix - driving tech house and rolling techno to finish the night with UMEK, Jay Lumen & Gary Beck providing the beats alongside Rene Amesz & Ruell, Hauswerks & Mihalis Safras & Kiko all on an exclusive tip. It’s out 26th August, check the promo video out below.